Modern Craftsman home built in 2015 w substantial remodel in 2017. Updates incl 5th BR,Media rm,entry closet,spa shower,& custom closets.Bright,open living spaces,huge island,family rm opens to outside patio & yard perfect for entertaining.3 BR up w/spacious master feat amazing en suite retreat.Downstairs-2 BR,media/play room,bath & laundry rm.Garage,AC,fenced yard,& storage.Walk to Grn Lk & Tangletown.Access to excellent public & private schools.This remarkable home is an in-city treasure! Magnificent Georgian Estate on Olmstead Brothers designed grounds in the private, gated community of The Highlands. Offering privacy and security just 20 minutes to downtown Seattle. One of the few "named" estates, Bonnie Brook is sited on over 2 acres of lush foliage, gardens and ponds. Unobstructed and expansive views to Puget Sound and the Olympic Mountains dominate this recently updated home with a full floor to enjoy music and movies, swimming pool, decks and patios, elevator. Heaven. Welcome to the desirable gated community of Clos CheValle, where the green belts are vineyards & the subdivision is connected by walking trails. This high quality 2015 built Harkey Construction home has tall ceilings, lots of light & windows, lives nicely as a rambler, & has gorgeous up & down lake views of Lake Chelan. The home features hardwood floors, granite counters, 2 master suites, 2nd kitchen/wet bar, office(or 4th bed), & massive covered deck/patio areas. Landscaped nicely & fenced. Largest available tract of buildable land in Woodinville. Zoned residential but note other mixed uses in area. Possible School, Church, retirement facility??? Sun drenched lot. 564' along paved street (51st aveSE). Tributary of the Little Bear Creek ((salmon have been known to migrate)runs along the East line. Lightly treed. Great view(outlook to the SE). Property recently cleared and Geotech, done to assure abatement. Soils tests performed and in supplements. 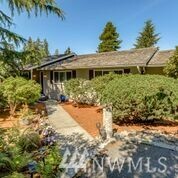 Completely Remodeled View home in Kirkland's East of Market neighborhood. Home features clean design and extreme attention to detail. Open living concept, luxury gourmet kitchen with Stainless appliance package. Oversize deck with expansive Lake & Seattle City views suited for Entertaining & Relaxation. 2 Beds, 2.75 baths and additional flex room downstairs. Walk-able to Downtown Kirkland, Easy access to 405, Shopping, Restaurants and all Kirkland has to offer. Lake Washington School District. Montlake Modern nestled between desirable Montlake & Portage Bay. One of a kind home with 3 levels of luxury living. Enter the home on the first level w/family room, wet bar, office space, powder rm & sauna. Ride the elevator to kitchen with high-end Viking appliances open to living, dining room & balcony. Master suite as well as 2 more beds, a bath & laundry upstairs. Views of Portage Bay & UW! 650+ sqft of outdoor living space, 2 car garage and tons of storage throughout! Preinspect Available. Recent Custom Build constructed beside the foothills of Mt Si & the Cascade Mountain range, consists of estate residence w/ separate living quarters, updated original 2 bed farmhouse, expansive workshop/studio, free range chicken yard & coop, 4 car garages, & storage sheds. Authentic Craftsman home was customized by showcasing locally sourced, quality materials & skilled artisans� handiwork to create a meaningful place of inspiration, entertainment & relaxation. Spectacular scenic views! All of downtown at your doorstep! Don�t miss this rare, NW corner 1BR+den home at 5th & Madison. With a wall of windows showcasing sweeping views of downtown highrises & Elliot Bay, this home features an expansive great room perfect for entertaining, den w/ built-in wallbed for guests, beautifully updated island kitchen & soaring 10.5� ceilings. Includes oversized parking space + storage in garage. Amenities feature gym, owner�s lounge & terrace, pet area & 24-7 concierge. 99 Walk Score. Welcome to new construction in Medina. This luxurious home has so much to offer! Well-appointed with refined elegance & European accents. Professional grade appliances & home systems, make this make this custom build extremely usable for any stage of life. With 4 bedrooms, 5 bathrooms, and a 2nd lower level kitchen, this home is conducive to both large and intimate gatherings. The cul-de-sac location offers privacy and is just blocks to Medina Park, Medina Elementary and Downtown Bellevue. 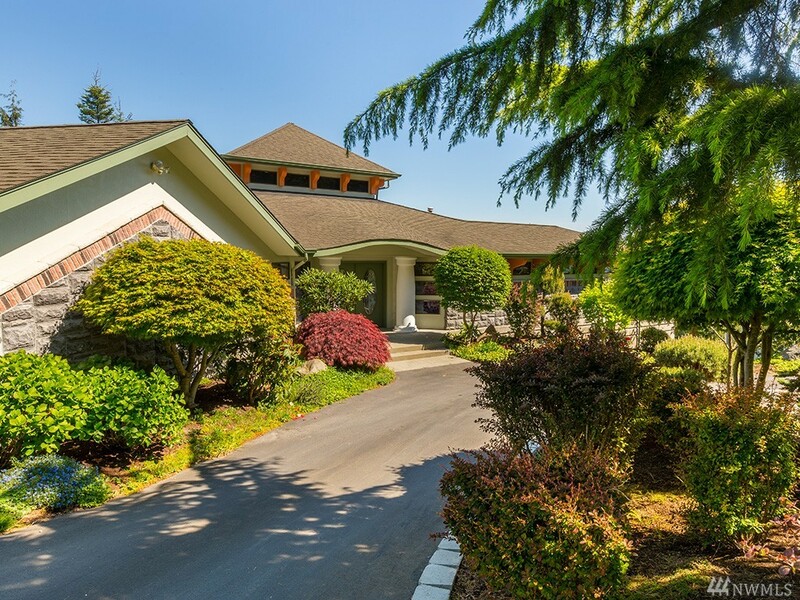 Custom built, situated on over an acre with 124' of no-bank Columbia River waterfront. Horseshoe driveway w/ two automated driveway gates; meticulously maintained mature landscaping w/ sprawling retreat-like front & backyard creating privacy for the most discerning buyer. Appliances:Wolf, SubZero, Miele, Bosch, DCS. Dock w/ solar powered hydraulic boat lift. In-ground Gunite pool 48' X 22� & hot tub 9� X 7�. Two laundry rms, dual zone A/C, upper & lower NanaWalls, 8' solid wood doors throughout. MN Custom Homes presents a Modern View Farmhouse in the Kirkland Highlands. Western facing City & Lake views. Entertainment spaces include Great Room, Chef�s Kitchen, private outdoor covered living space w/ bbq hook up & spacious upper-floor bonus room. 5 bedrooms w/ guest main floor en-suite, upper floor Master Suite & additional three bedrooms. Smart home w/ green features throughout. Sun drenched backyard. Extremely convenient access to 405, downtown Kirkland, parks, beaches, & Google/MSFT. Live on the top of the world with Western views of the Valley and Olympics while entertaining in your 4560 sqft estate in the prestigious gated community in Sky Island! This truly remarkable floor plan features a total of SEVEN bedrooms, perfect for dual living. Fully finished daylight basement features kitchen, living room/rec room, full bath, 2 beds & utilities. Main floor features formal rooms, large kitchen and den. FULLY UPDATED THROUGHOUT--including carpets, paint, fixtures and flooring!